Last Sunday Greeks took to the polls and delivered a strong vote against a continuation of troika-imposed austerity measures. 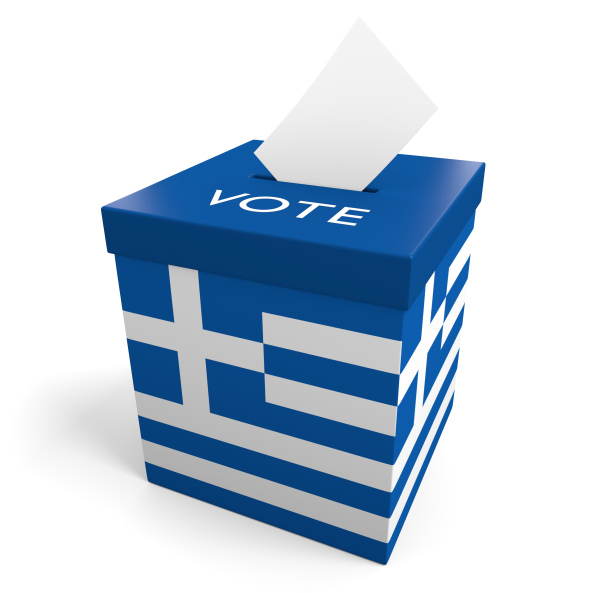 Last Sunday Greeks took to the polls and delivered a strong vote against a continuation of troika-imposed austerity measures. What that might mean for the country—and for investors, too—remains to be seen, since markets did not instantly collapse on the news, nor was the country immediately shown the door on the way out of the Eurozone. But that doesn’t mean it will be smooth sailing. Despite the resignation of Yanis Varoufakis, the country’s finance minister, as a means of smoothing the path to future negotiations with European creditors, Europe isn’t happy. German Chancellor Angela Merkel was to meet in Paris on Monday with French President Francois Hollande, and that was to be followed Tuesday with a meeting of Eurozone leaders to see where the group goes from here. Monday saw speculation that the Tuesday meeting could result in an expulsion of Greece from the Eurozone. And that could happen, if European tempers continue to rise. Varoufakis may have stepped down, but that certainly doesn’t mean that Greeks are willing to accept the austerity measures Europe has been insisting on as conditions for additional assistance. And, despite the election’s outcome, Europe basically dismissed the election’s results as a bargaining chip for Athens—something it had hoped for—and immediately doubled down on pressuring Greece, putting the onus back on the country to come up with alternative proposals and saying that the next move was up to Athens. Whether the country will come up with proposals that will allow it to remain in the Eurozone is yet to be determined, since all Greece’s proposals thus far to lessen the burden of required legislative changes and repayment of its debt have been rejected by its creditors. And while earlier, some banks were predicting that Greece will be leaving the currency group, that is certainly not a sure thing—particularly since Goldman Sachs and Citigroup weighed in to say that they both envisioned ways in which the country could remain in the Eurozone. Sixty-one percent of Greek voters—a stronger showing than expected—vetoed the notion of continuing under the latest austerity offering from the Eurozone. And that surprised many. Not only were voters divided on the issue, the rest of the world took sides ranging from the IMF’s last-minute declaration that Greece would not survive under continuing austerity measures to German insistence that Greece simply must adhere to cost-cutting measures that Athens has protested were destroying its people. But investors watching the situation will have seen that markets did not implode—at least not yet. Markets fell, but didn’t plunge; the euro was down, but didn’t crash—perhaps at least partly due to Varoufakis’s resignation—and bond yields of weaker Eurozone countries rose, but didn’t skyrocket. In fact, calamity did not ensue even after Greece missed its end-of-June payment to the International Monetary Fund, which said that the missed payment was not necessarily a default—even though Fitch Ratings had further dropped the ratings of the country’s banks. Fitch downgraded Greece’s long-term foreign and local currency issuer default ratings (IDRs) and senior unsecured foreign and local currency bonds by one notch to CC from CCC. While it affirmed Greece’s short-term foreign currency IDR at C, it lowered the country ceiling a notch as well, from B- to CCC.